Russia's Prime Minister Vladimir Putin and ExxonMobil President and Chief Executive Officer Rex Tillerson attended the ceremony of signing of the Rosneft-ExxonMobil strategic partnership agreement. 2011. 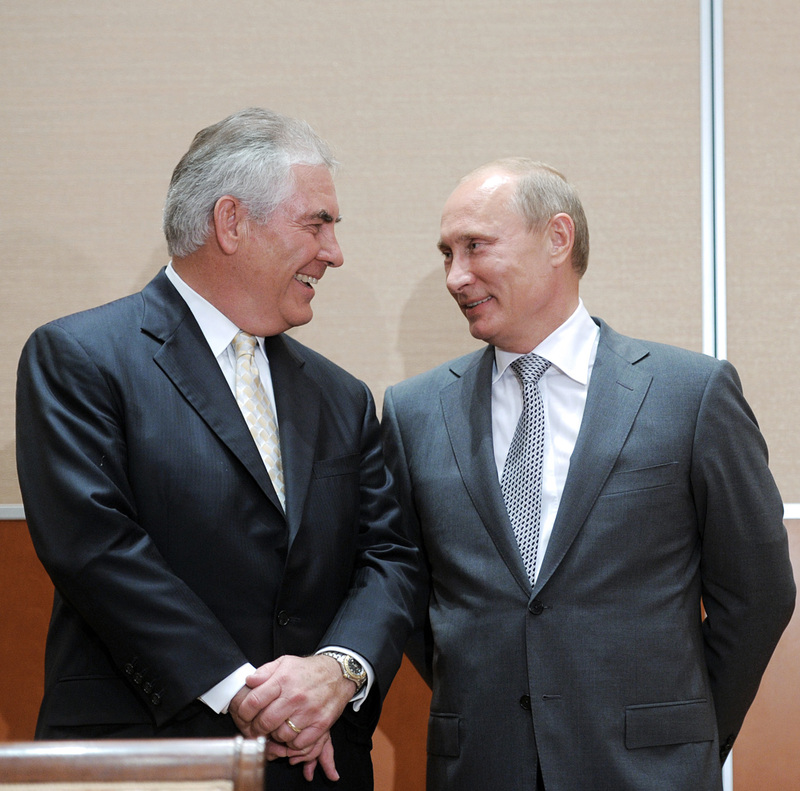 ExxonMobil CEO Rex Tillerson, nominated for Secretary of State by U.S. President-Elect Donald Trump, has pragmatic thinking that he showed as businessman, Russian Prime Minister Dmitry Medvedev said in an interview with national TV broadcasters on Dec. 15. "If we speak of businessmen, while Mr. Tillerson is one of those, they usually have very pragmatic thinking which seems very positive to me," he said. According to Medvedev, Trump has been doing business all his life and has never been a civil servant, so he is likely to include "people of the same kind" in his team. "These people don’t have any inherent prejudice against Russia, actually they are not hindered by stereotypes," the Russian prime minister stressed. "They always start with a clean slate which is good." "It is true that we all know Mr. Tillerson as a prominent businessman who took part in some common projects, particularly in Sakhalin. In that sense, big Russian companies have good relations with him. This is why he was awarded with Russia's Order of Friendship medal some time ago," Medvedev concluded. Read more: What does Moscow expect from new U.S. Secretary of State Rex Tillerson?